Since we received our Mirra 2 chairs from Herman Miller at our office in Hamburg, our visits to the massage salon have become rare. Stretch your body, feel free to move. The flexible back support of Mirra 2 moves with your body and adapts to your back, making it the most comfortable companion during long office hours. With all the adjustments available, you can even fine-tune the fit. Honestly speaking, after being spoiled with these chairs, we couldn’t go back to any seating that is not perfectly adjusted to us. Its leaf spring design gives you such a smooth and balanced feel, we feel like sitting on a cloud! 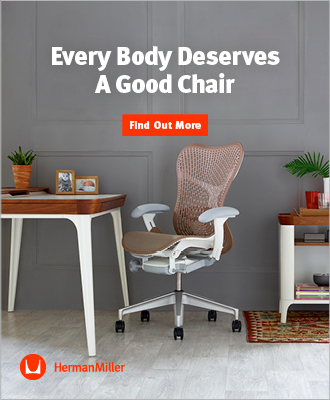 And if you follow the provided care and maintenance instructions, this Herman Miller product will last you for many years. Plus, it’s easily recyclable too. Designed by Studio 7.5, you can choose from different colors for the base frame and seat. Our Mirra 2 chairs are silver and graphite. 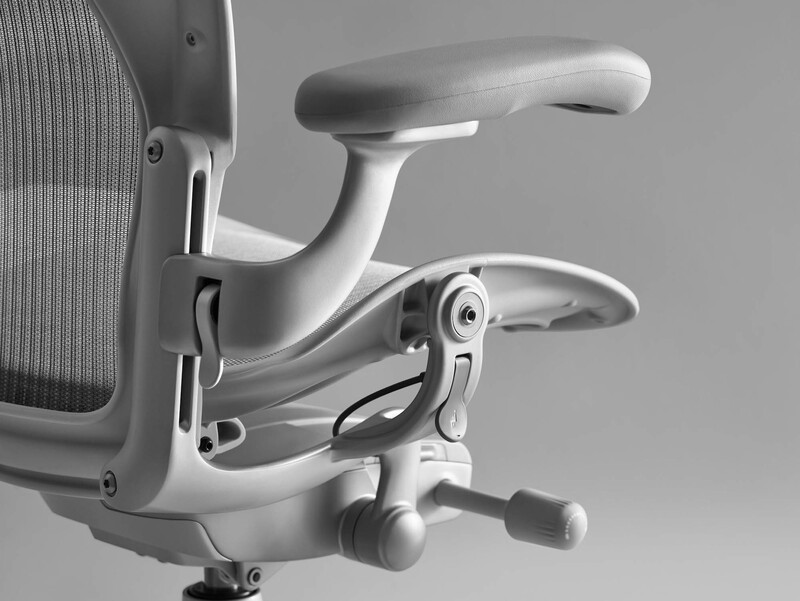 Founded in 1905 in Zeeland, Michigan, Herman Miller is a leader in ergonomic seating. Ever since its inception, the company works with the most prestigious designers from all around the world. 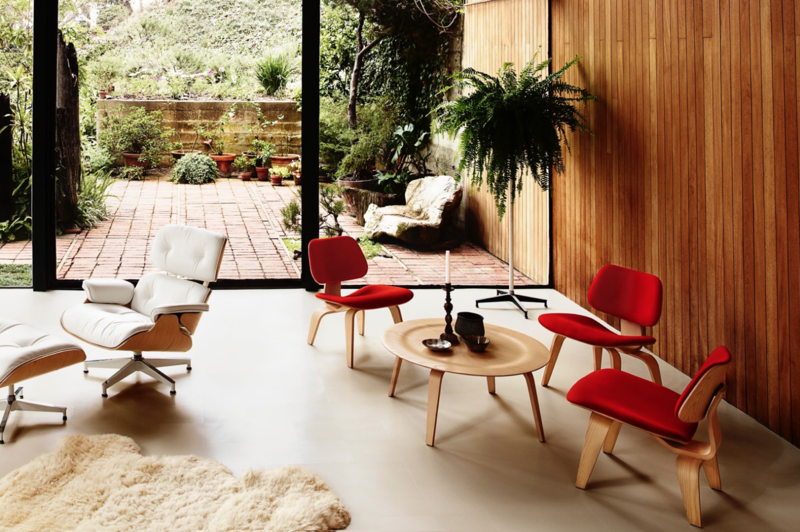 Among them is Isamu Noguchi who introduced the iconic Noguchi Table, Charles & Ray Eames who are famous for their Molded Plywood Chair or Bill Stumpf & Don Chadwick whose Aeron Chair was exhibited in the MOMA. 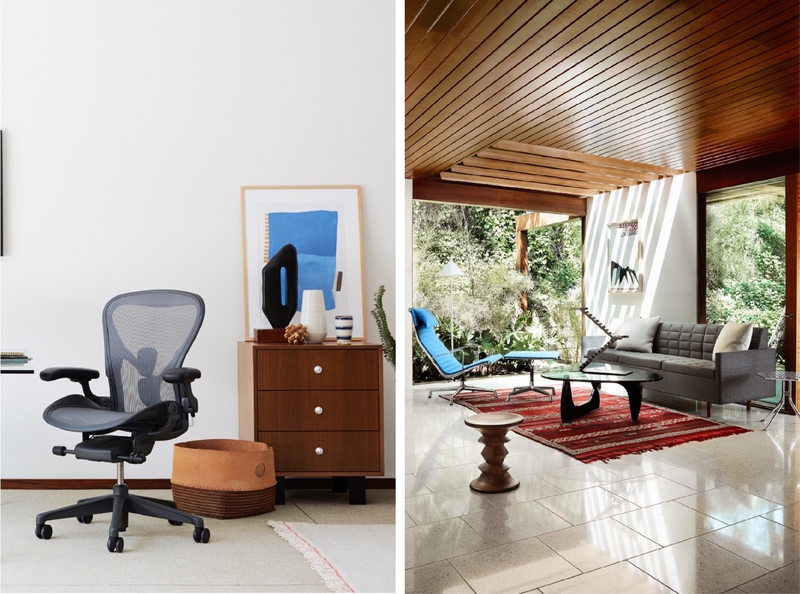 But Herman Miller is committed to “designing not just better products, but a better world. “In the Better World Report 2018, Herman Miller summarized how far the company has come in having a positive impact on the world. The 4 categories comprise Strengthening Community, Inclusiveness & Diversity, Health & Well-being, and Environment. “Yes, we are a business. But unless we create value for our employees, customers, investors, and communities, we have no real reason to exist”, states CEO, Brian Walker. Their international corporate giving program, Herman Miller Cares, allows employees to use up to 16 paid working hours for community services, creates various fundraising events and gives back to their communities. Herman Miller also attaches great importance to inclusiveness. “We value the whole person and all they have to offer. A workforce that is diverse in backgrounds, perspectives, and experiences drives innovation, increases our ability to be competitive, and allows us to better serve our customers around the world”, says Walker. Herman Miller supports and hosts PRIDE events and operates with over 250 certified woman-, minority-, veteran-, and LGBT-owned businesses. Applause! Instead of sending their scrap fabric to landfills, Herman Miller offers them to employees, recycles them or provides them to low-income mothers in Haiti through the Haiti Foundation Against Poverty (HFAP) – Gift of Hope Program. These skilled women make brightly colored totes, laptop bags, pillows and more out of what most companies would treat as rubbish. This way, they earn enough to afford rent, food, and school for their children. And that’s not all. Hermann Miller uses materials with safe chemistry. Parts of them are recycled or bio-based and have less of an impact on our environment. See their products made of certified wood. Zero landfill disposal, zero air emissions, and 100% green electrical energy are some of the goals the company wants to achieve by 2020. Finally, we are super happy with our Mirra 2 Chairs. 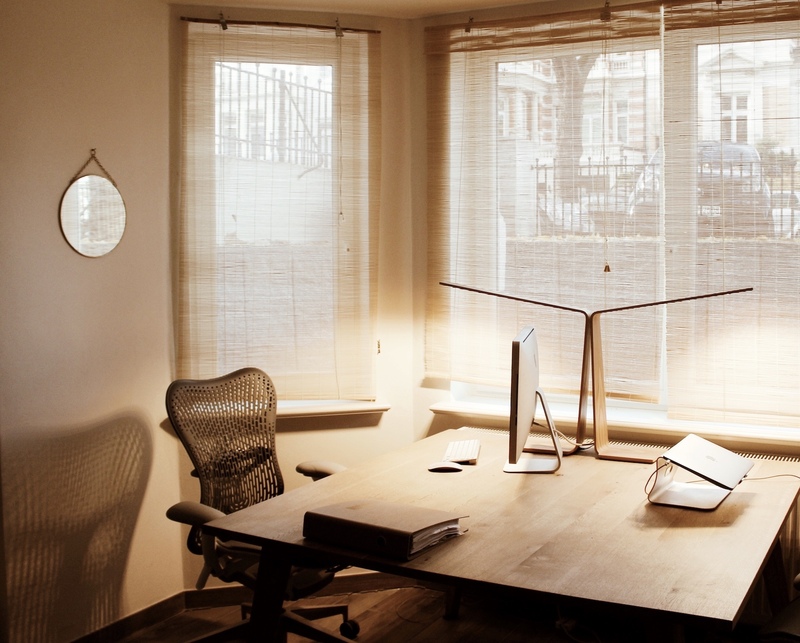 And of course, we would love to furnish our entire office with Herman Miller products. Because it’s really worth it. 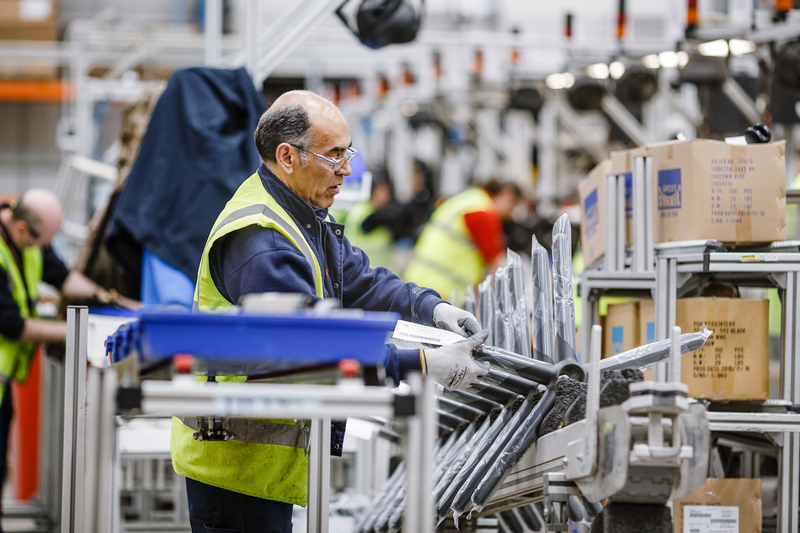 The cherry on the top: your order comes in sustainable Eagle Packaging and will be 99% complete and delivered on time.